The Inca people arrived at Cusco valley and in a few centuries built the Tawantinsuyu, the largest empire in the Americas. The Tawantinsuyu was the cultural climax of 6,000 years of Central Andes civilizations overlapping modern countries of Peru, Bolivia, Ecuador, the South of Colombia and the North of Argentina and Chile. In contrast with the richness of archaeological and cultural evidence, pre-Columbian history vanishes in time as it intermingles with myths due to the lack of writing systems before the arrival of the European chroniclers. Very little is known about the Inca origins and some genetic information could help reconstruct part of their history. Unfortunately the mummies and bodily remains of the Inca emperors, worshiped as gods, were burnt and buried in unknown locations due to religious and political persecution by the Christian Conquistadors and Inquisitors, so no direct material remains to study their DNA. "Thus for now, only the genetic analysis of modern families of Inca descent could provide some clues about their ancestors" remarks geneticist Jose Sandoval, first author, working at Universidad de San Martin de Porres at Lima, Peru. 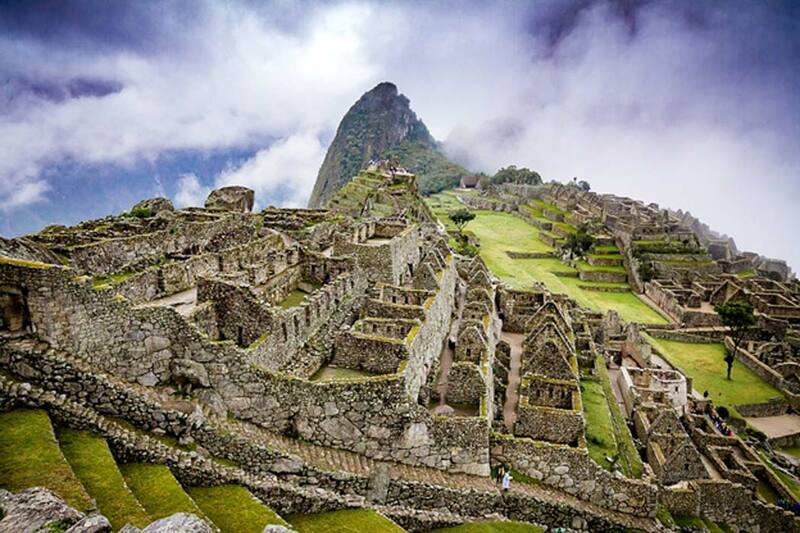 There were two foundational myths for the origin of the Incas before they established themselves in Cusco valley to build their capital city. One is that Manco Capac and Mama Ocllo, considered children of the Sun God and founder parents of the civilization, came from Lake Titicaca about 500 km southwards from the border of North Bolivia and South Peru, more or less the same region where Tiwanaku empire existed a few centuries before. The second myth narrates that four Ayar brothers, with divine powers, came out from the caves inside of a hill in the area of Paccarictambo, 50 km south of Cusco and only one of them, Manco, arrived to the Cusco valley. Concerning the succession of the rulers (between 12 to 14), most chroniclers mention only one patrilineal heritage, however other authors think that it was a complex selection of military and administrative skills not necessarily electing the son of a previous Inca. Can Genetics Match a Myth? "A unique patrilineal cluster would be expected in the first case. In the second case, two or more patrilineal patterns will be evident" says geneticist Ricardo Fujita, senior author, also at Universidad de San Martin de Porres. The research team included historian Ronald Elward, who studied documentation of twelve Inca noble families and followed up from the conquista times to their contemporary descendants. "Most of them still living in the towns of San Sebastian and San Jeronimo, Cusco, Peru, at present, are probably the most homogeneous group of Inca lineage" says Elward. Markers for Y chromosome and mtDNA were used for the genetic analysis of these families and compared with a database for 2400 native individuals from Peru, Bolivia, Ecuador and Brazil. "The results show distinctive patrilineal origins to two founder individuals who lived between 1000 to 1500 AD, a period between the decline of former Tiwanaku (south) and Wari (north) contemporary empires, and the rise of the Inca empire a few centuries later" says geneticist Fabricio Santos from the Universidad Federal de Minas Gerais at Belo Horizonte, Brazil. The first patrilineal haplotype named AWKI-1 (awki means crown prince in Quechua language) is found in the putative families descending of 2 earlier Incas Yahuar Huacac and Viracocha. The same pattern of the Inca descendants was also found in individuals living south of Cusco, mainly in Aymaras of Peru and Bolivia. The second patrilineal haplotype named AWKI-2 was found in one descendant of a more recent Inca, Huayna Capac, father of the two brothers (Huascar and Atahualpa) who were fighting a fraternal war over the empire at the arrival of the Conquistadors. "AWKI-2 is also found in dozens of individuals from different locations in the Andes and occasionally in the Amazon, suggesting a populational expansion" says Dr. Santos. "In addition to San Sebastian and San Jeronimo, most locations of AWKI-1, AWKI-2 were southwards to [of] Cusco including the basin of Lake Titicaca and neighboring Pacaritambo, in agreement with the two foundational myths of the Incas" says Ricardo Fujita, "probably two pictures at different times of the same journey with final destination Cusco" adds Fujita. "It is also remarkable that in these contemporary Inca noblility families there is a continuity since pre-Columbian times" says Ronald Elward. The analysis of their mtDNA suggested a highly varied matrilineal marker whose counterparts are found all over the Andes reflecting a high genetic flow. "This probably reflects the political alliances by arranged marriages between Cusco nobility and daughters of lords of kingdoms and chiefdoms all over the empire" states Jose Sandoval. This work is the continuation of several studies performed by the team to reconstruct South American history by Genetics and also funded by a previous grant of the Genographic Project (Geno 1.0) led in South America by Fabricio Santos. Two published works included the unique ancient roots of the Uros, people from the Floating Islands of the Lake Titicaca and the Quechwa-Lamistas in Peruvian Amazon. Modern Uros are Aymara speaking people that some have thought to be people from the Aymara ethnic group who profited from tourism by living on the floating islands. However, the team showed that they were genetically isolated people who had lost their original Uros language, shifting to the more widely used Aymara language. On the other hand, the Kechwa-Lamista are Amazonian people who speak the Andean Quechua language and they were presumed descendants of Andean Chanca, former enemies of the Inca, and were chased by them towards the Amazon. DNA showed that they are actually descendants of linguistically different Amazonian people who were gathered by Catholic missions and were taught the Quechua language (learnt by the missionaries at the Andes) for a better evangelization. "In some cases, genetics shows us something different than the official history. What is not written or badly written in historical records, can be revealed by what is written in our DNA." concludes Ricardo Fujita. "This study is just the tip of the iceberg in trying to solve part of several enigmas of one of the most remarkable civilizations. The DNA of one Inca monarch’s bodily remains, or of one direct descendant who lived at the beginning of the Spanish colonization could give more certainty about the Inca lineage, and our team is looking forward to it" declares Jose Sandoval. The article, originally titled ‘ Genetics of the modern heirs of the Incas shed new lights about their origins and lineages ,’ was originally published on Science Daily . There was never a lack of written history in this region, the Spanish just burnt it all.